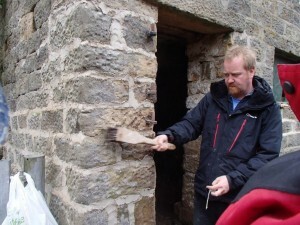 The Landscape Partnership ran a Heritage Skills School to enable as many people as possible to learn about how traditional skills remain vital today. Building Blocks taught dry stone walling to offenders on Community Payback, repairing damaged walls while passing on a valuable skill. Metal and Stone brought local craftspeople together with students from Nidderdale High School & Community College, offering young people opportunities to learn about stone carving, metal working and printing making. Skills for Trades was a 6 day, certified training course in repairs to historic buildings that ran from January to March 2018.